That lap in video was plagued with traffic anyway. Especially that guy in GT3 who didnt move over, probably for fear of his ego lol. He knows that BTG is 1.5km shorter than the 20.6km course right? Of course there reasons as to spend that much on the car, since my tases and attributes on the quality of a pleasurable drive differe from everyone, i cant say other wise, me personally, i like to have a bit of power oversteer, and a bit of tail happyness, tight, with being a bit loose, manual no aids, i like ABS though, and i like to sit low, My RX7 R has almost all those characteristics, but thats not why i bought it. Why by the Cayman, if my RX7 "Could" be more enjoyable then a Cayman R, (And Faster) at half the price? there so many variables in a question/answer like that, EVERYthing(ABout) a car is almost completely objective. There's really no sense in spending hundreds of thousands more for a high end exotic ( Ferreri, Lamborghini, Aston Martin, etc) when you can get this Cayman R for around 70-80K well equipped. I talking in terms of a car being fun / rewarding to drive. cayman r gearing is tall... throw in a 3.77 r&p and watch this baby really perform!! They are now developing a mid engine super car with over 600hp called 961 or 960. 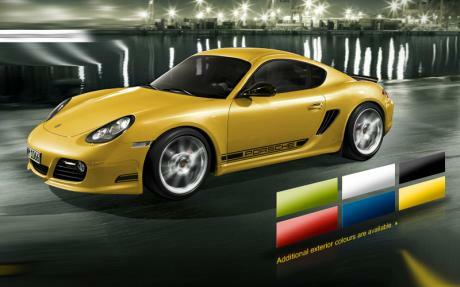 Why Porsche dont make a Cayman Turbo with around 500 hp and 3.8 engine? Mid engine supercar is what Porsche need now. I have a Cayman R on loan at the moment..... its quick in a straight line but doesn't feel stunningly fast, makes a fantastic noise (its fitted with sports exhaust option with "loud" button ;-) but where it really shines is its handling..... its easily one of the best handling cars I've ever driven! The conditions were great: air temp 19 Degress Celsius, track temp 22 D Celsius. Thanks to its great traction and handling, the car managed cornering G-forces up to 1,35 G with the normal Potenza RE050 tyres. The 8.10 min time is 7 seconds faster than the Cayman S's time with the same driver. Both would be a bit faster with PCCB. 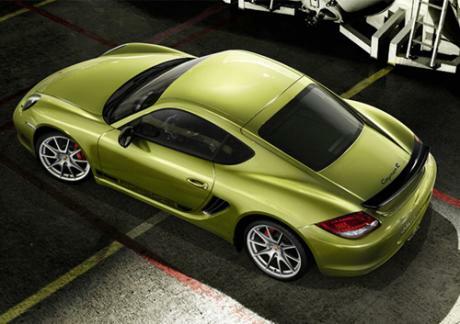 Actually, if I were thinking of getting back into competition, the Cayman R would be my first choice for a track car. A mid engine flat six makes for a low center of gravity, and low polar moment of inertia. Normal aspiration would provide an easy to modulate throttle, without lag or excessive rushes of torque. I agree the Cayman R should go faster with good track conditions. 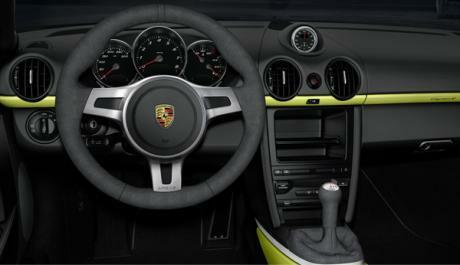 I compared it to the Cayman S and as expected it is quicker on all the other tracks. I seriously doubt 8:06 is the best the Cayman R can do. That's a lot quicker than the BMW 1M coupe BUT it's the exact same time the Cayman S ran. The Cayman R is significantly quicker than the S on like every other track except the "Ring"? I'm guessing the conditions weren't very good. Hopefully it'll get tested again to show what it really can do. Surely it can break 8:00 minutes. Nürburgring-Nordschleife (20,6 km-layout): 8.10 min on Bridgestone Potenza RE050 and 8.06 min on Continental ForceContact semi-slicks. 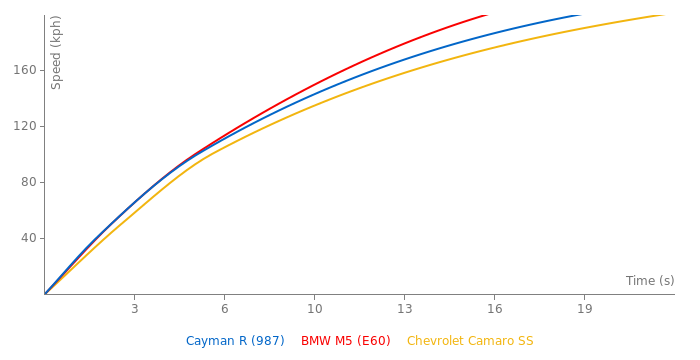 As far as the numbers are concerned the regular ole Cayman S has ran 4.3 secs 0-60mph and the 1/4mile between 12.7-12.9@109-111 (Car and Driver, Road & Track, Motor Trend, Edmunds) depending on the source you read. So I see no reason why the Cayman R couldn't at least match those numbers. The thing that really hurt the prior 06-08 Cayman S was NO LSD. Now that it's offered in the newer 09+' Caymans along with a 25hp (295hp > 320hp) bump it runs much quicker. The new 09+ Cayman S and R don't need many options to run the times they've been putting down. Basically just the LSD. Both the 6 speed manual and PDK transmission are fantastic. The Cayman S has a RING time of 8:06 so I wouldn’t be at all surprised if the Cayman R could do it in under 8:00 or around 7:55. 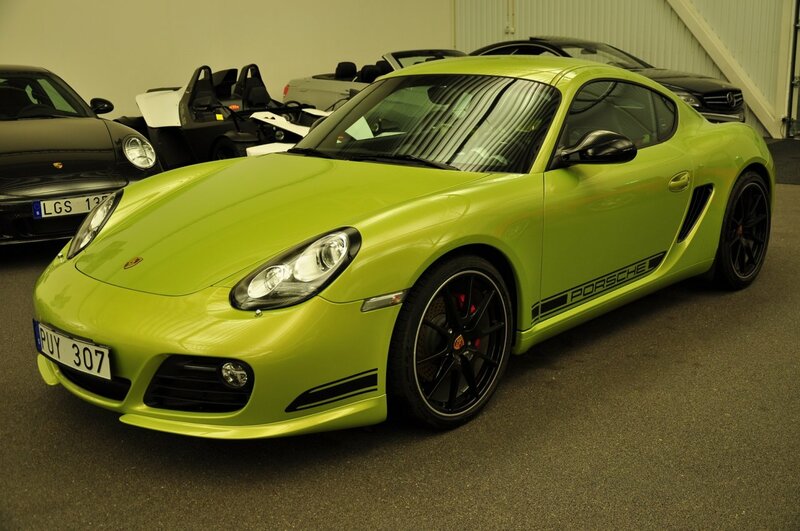 Tests on RS3 ,1M coupe und Cayman R.
the 4.6s are tested by sportauto on Bridgstone RE050A tires not semi slicks!!!!!!! To make it for you even more worse the tested Cayman R was fitted with heavy aircondition, Nav and Radio system and was 90kg more heavy as stock!!! Since what date we only use factory claims and not real world tested numbers? You claim Donkervoort tested numbers I claim Camyan R tested numbers! 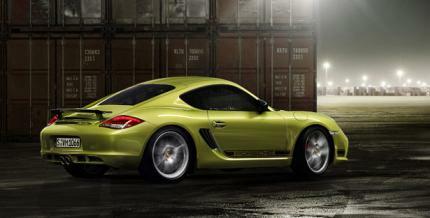 The Cayman R base price is 69,830Euro including 19% TAX!!!!! YOU Ignored the fact that the Evora S who did the Hockenheim laptime was fitted with 30k Euro of perfromance options!!!!!!! @Georg: as before you are twisting facts.. Porche say the Cayman R does 0-100 in 5,0 and with pdk it manages 4,7 but only with the optional Sport+ tyres. Porsche puts that car on the market at 73k and that's without Chrono package and Ceramic brakes, that were most likely both on the car that did the laptimes... With those options the Cayman R cost 85K. Try the truth, it helps you in not looking like a unreliable fanboy and prevents you from getting humiliated yet again. the D8 180hp does 5.0s and 210km/h and cost 82k Euro! the Cayman R does 4.6s (tested) and 282km/h and cost 69k Euro! @Georg: yes the topspeed is loww (bad 60's aerodynamics can only be improved so much) but the rest of what you write is mostly wrong. The 180R normally has 150,180,210hp not 240 although customer cars are built to order. The laptime is from 2001 so on pre-historic tyres and the new cars have different suspension and different brakes and even modifications to the chassis. Then there are the acceleration numbers: the 180hp does a 5,0 sec to 100 in tests, the 210hp does 4,1 (tested), Porsche claims 4,7 for their pdk Cayman R not 4,5. The topspeed for the 210Hp is 235km/h. Last, you quote a 2011 price yet use 2001 laptimes. Try facts instead of twisting things. the D8 180 Sport (5.0s 0-100km/h) is almost 0.5s slower to 100km/h and has only a topspeed of 210km/h.. 72km/h less than the Camyan R... it can only follow the first few meter..
@Georg: Even a D8 180Hp will keep up with the Cayman R till 200km/h and will almost certainly smoke the Porsche on the track. I guess you forgot it weighs less than 700kg. But anyway that wasn't the point. I commented on TheFrank saying "This car blows everything else away in its price range when it comes to being the perfect "driver's car"." @TheFrank: You forgot a few.. Lotus Exige/Elise/Evora S, Donkervoort D8, maybe the Artega, Caterhams..
via no tiny back seat / rear quarter window and tradition. Then again I shouldn’t be complaining because you can get a Cayman for much less than then a 911 and walk away with the better car unless you needed a little back seat of course and valued straight line acceleration over everything else.